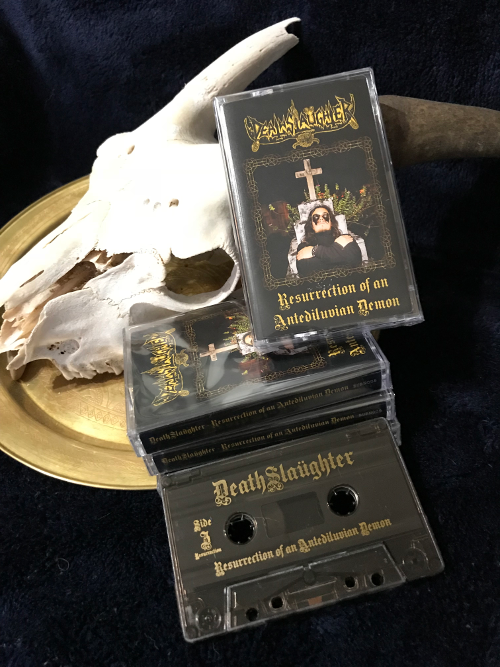 DEATHSLAÜGHTER - "Resurrection of an Antediluvian Demon" pro cassette tape OUT NOW! Five tracks of riff-heavy occult metal from São Paulo, done the old 'n ugly way with a dash of grandiose dungeon synth. Edition of 100 pro tapes with fold-out lyrics sheet, out now! Order now at the Promethean Burn/Basar North America store. 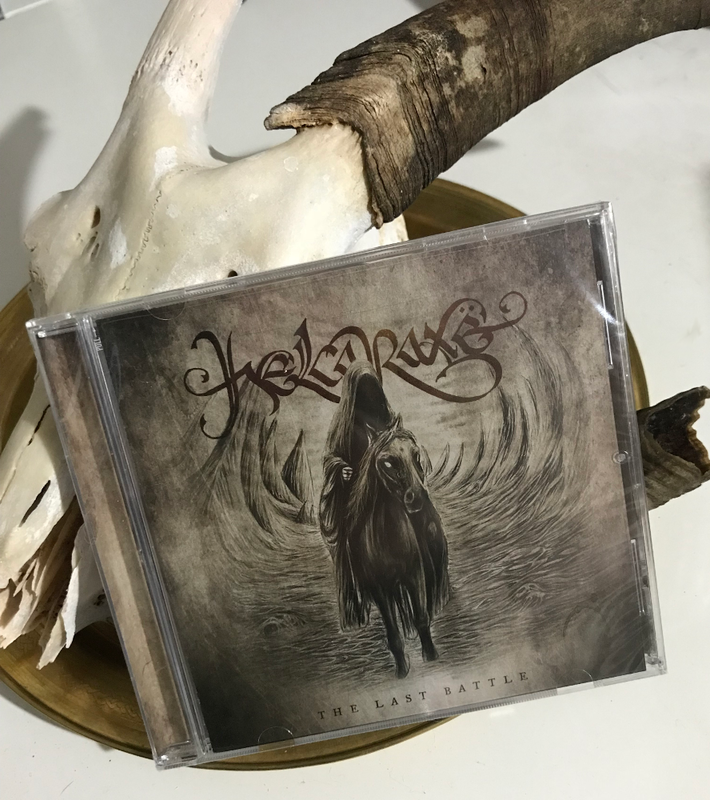 HELCARAXË - "The Last Battle" CD OUT NOW! Helcaraxë plays epic death metal in the vein of early Unleashed, Amon Amarth, Amorphis, or Edge of Sanity. The Last Battle is their fourth full-length album, a pointed concept record packed with warfare, glory, killer solos, and crushing riffs! Out now on CD (Promethean Burn / Sunshine Ward). Also available in a limited shirt bundle. 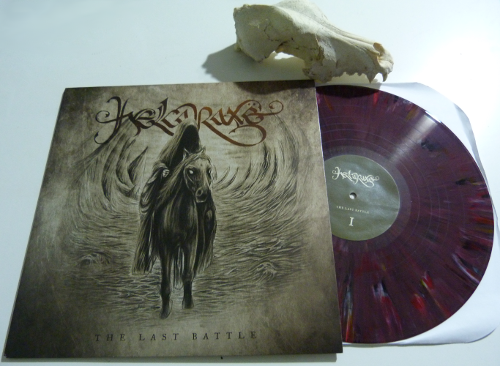 HELCARAXË - "The Last Battle" purple swirl vinyl LP OUT NOW! Helcaraxë plays epic death metal in the vein of early Unleashed, Amon Amarth, Amorphis, or Edge of Sanity. The Last Battle is their fourth full-length album, a pointed concept record packed with warfare, glory, killer solos, and crushing riffs! Out September 2017 on LP (Promethean Burn / Dullest Records). Purple swirl vinyl. MEGIDDO - "The Holocaust Messiah" shirts OUT NOW! 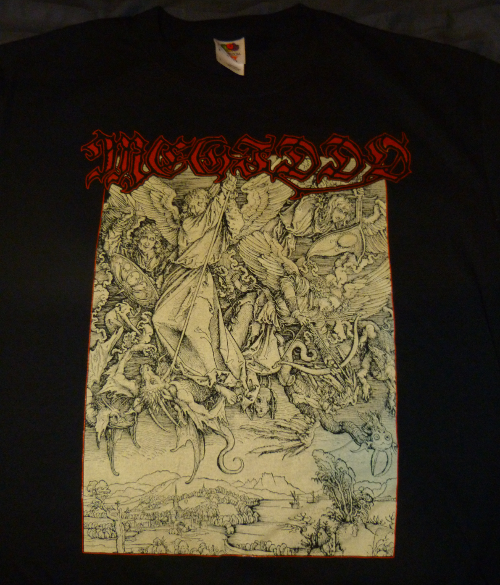 MEGIDDO - The Holocaust Messiah t-shirt is here! Two shirt colors (red ink on black shirts, black ink on grey shirts) on Gildan Heavy Cotton shirts, all in support of the upcoming album on Barbarian Wrath. Prepare yourself to renew The Oath...! TERRA CAPUT MUNDI - "Praeparatio Aeternum Bellum" tapes OUT NOW! St. Louis' Warp Speed Warriors strike back with this six-song tape! Thrash/speed/heavy metal right out of the 41st millennium, recorded live in rehearsal beneath Gateway Hive! Featuring two new songs and four old favorites, on pro tape with art by Seth Bennett. In stock and shipping now! Stream/order the full album (free digital download with orders) on bandcamp, or order at the Promethean Burn/Basar North America store. 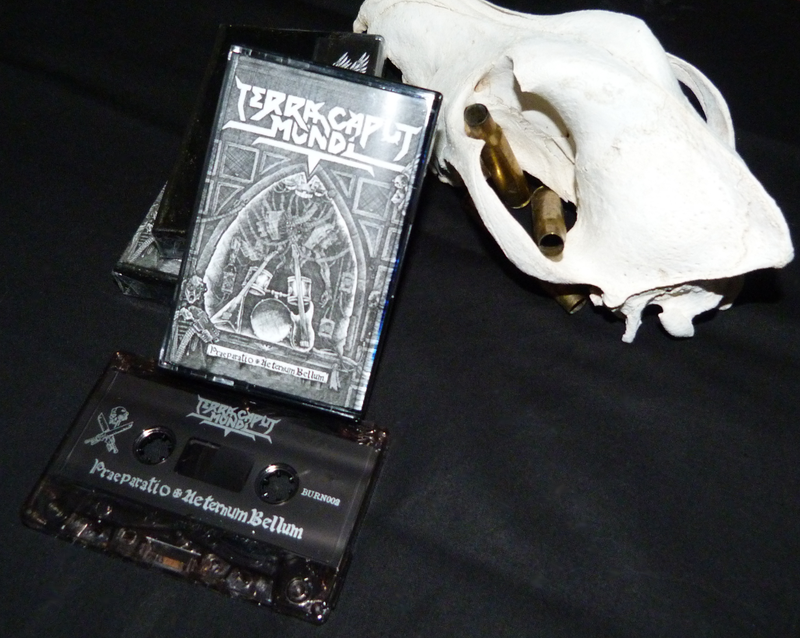 TERRA CAPUT MUNDI - "Praeparatio Aeternum Bellum" tapes at print now! St. Louis' Warp Speed Warriors strike back with this six-song tape! 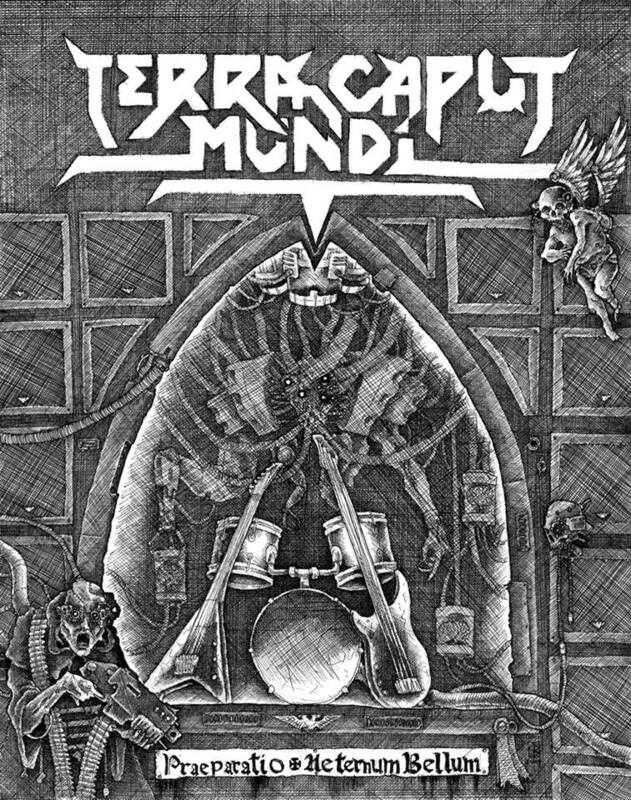 Thrash/speed/heavy metal right out of the 41st millennium, recorded live in rehearsal beneath Gateway Hive! Featuring two new songs and four old favorites, on pro tape with art by Seth Bennett. In stock within two weeks! Stream/preorder the full album on bandcamp. 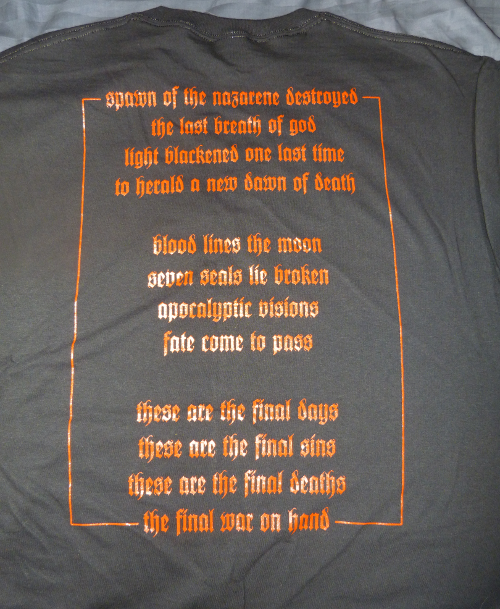 MEGIDDO (Can) - "The Final War" shirt out now! 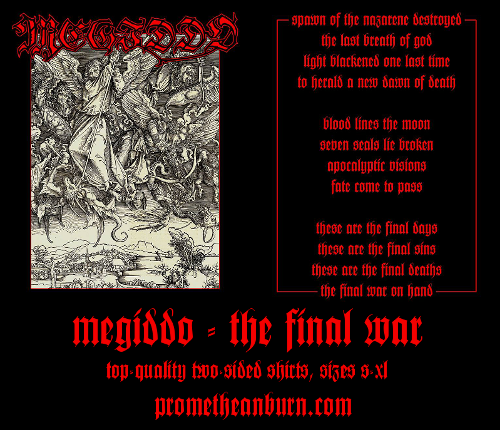 Promethean Burn is honored to present a limited number of MEGIDDO - The Final War shirts in sizes S-XL! With new live shows and a new album on the horizon, this top-quality shirt marks fourteen years since this Canadian black metal act's classic demo collection. In stock & shipping now! $12 plus shipping. 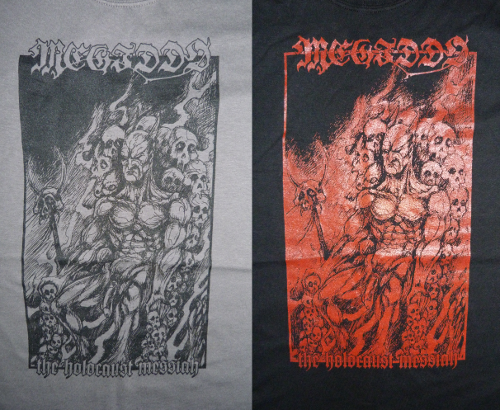 MEGIDDO (Can) - "The Final War" shirt at print now! Promethean Burn is honored to present a limited number of MEGIDDO - The Final War shirts in sizes S-XL! 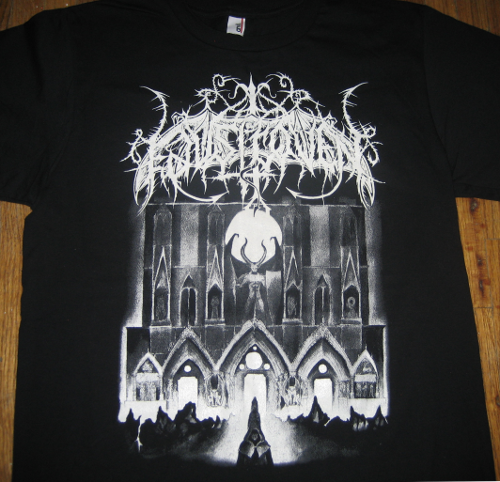 With new live shows and a new album on the horizon, this top-quality shirt marks fourteen years since this Canadian black metal act's classic demo collection. In stock & shipping in two weeks! 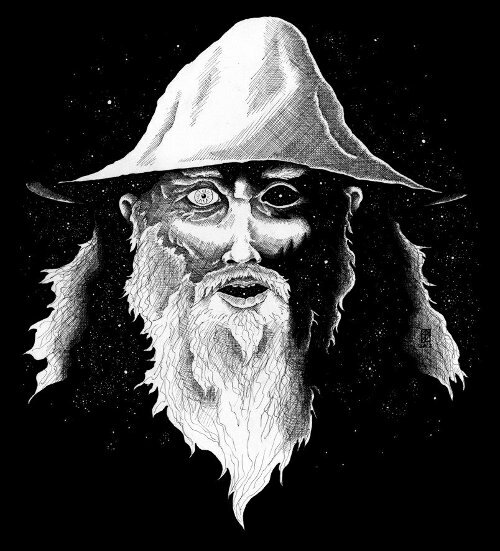 HELCARAXË - "Children of Ygg" CD & shirt out NOW! Eleven tracks of epic heathen death metal, featuring their Black Flames demo plus previously unreleased tracks from the Triumph & Revenge and Red Dragon sessions! 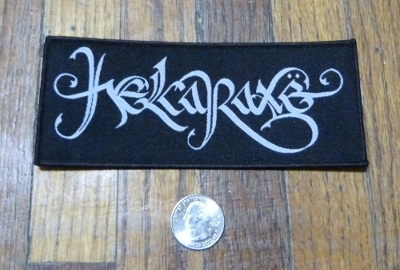 Die-hard pack includes "Othala" shirt and logo patch, $15 plus shipping! 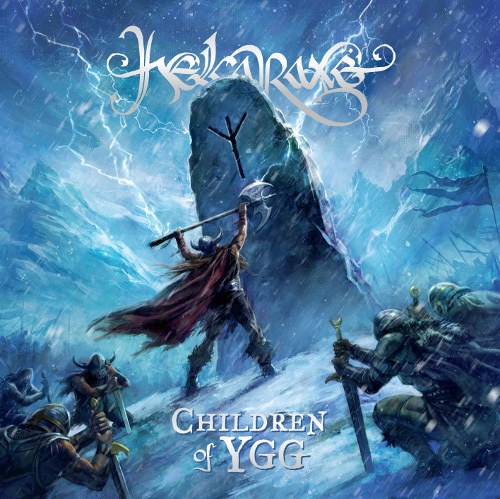 HELCARAXË - "Children of Ygg" CD & shirt out in weeks! CDs & downloads coming in March, along with new shirts & patches. Stream "Othala" and "In the Midwinter" for a taste of what's to come at the new Promethean Burn bandcamp page. 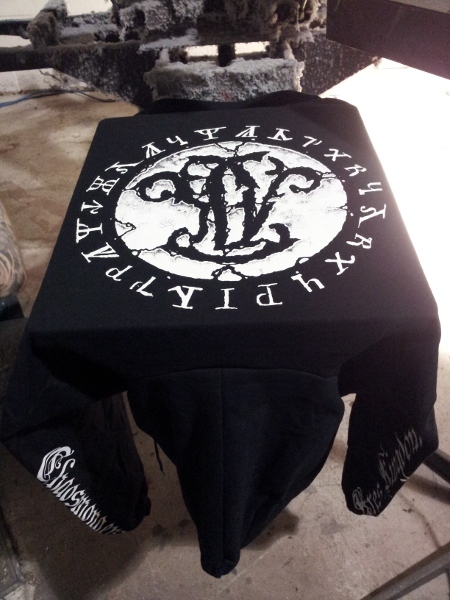 HELCARAXË - "Children of Ygg" CD & shirt out soon! Children of Ygg will be available soon on CD from Promethean Burn -- visit the HELCARAXË website or bandcamp page to whet your appetite...! HERETIC'S TORCH #1 zine out now! 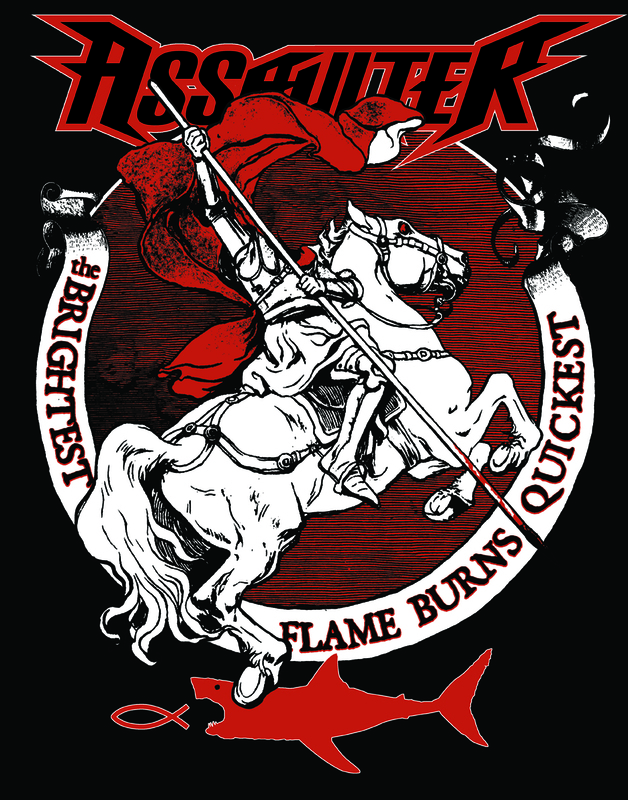 HERETIC'S TORCH issue #1 is back in print on Promethean Burn! 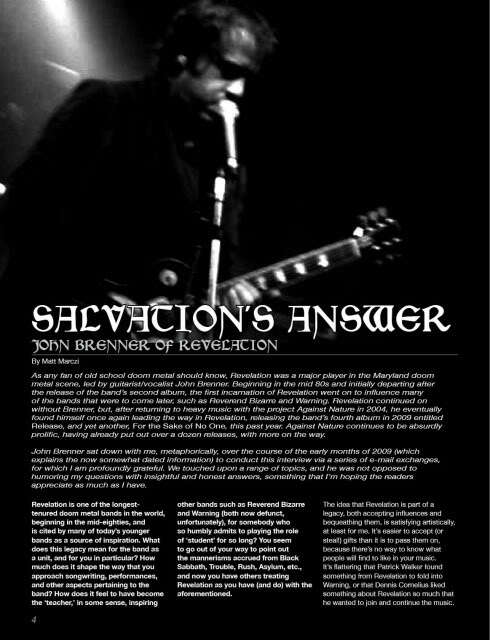 82 pages of in depth special editorials, interviews and album/demo reviews. 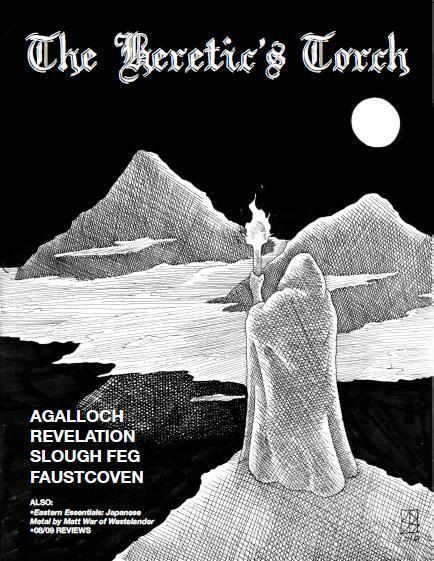 Interviews with Agalloch, Faustcoven, Slough Feg and Revelation, plus a special article "Eastern Essentials" by esteemed J Metal scholar and land waster Matt War! Order at the store to get yours before they're gone! HELCARAXË demo/unreleased collection to be released on Promethean Burn! "We've been silent, but hard at work behind the scenes. We have been putting together a collection for an upcoming release with the awesome new label, Promethean Burn. It includes songs recorded during the Triumph & Revenge sessions that didn't make it to the CD, a track recorded just after the Broadsword record, a couple from the Red Dragon sessions, and some NEW ones. It will also feature the 2 track Minas Tirith/Black Flames demo that some people have been bugging us to hear! We're psyched with the sound of the new songs and think some of the unreleased are the best we've ever done. Some of the songtitles include: The Fade, Othala, Ragnarok, Sonnenrad, Dismantled, and In The Midwinter. Prepare yourself for mjolnir's crushing blow!" Couldn't be more excited to be working with this band -- they've been a favorite of mine since the first record, and their particular blend of heaviness, musicianship, and originality is still unmatched. Visit their website or bandcamp page to whet your appetite...! 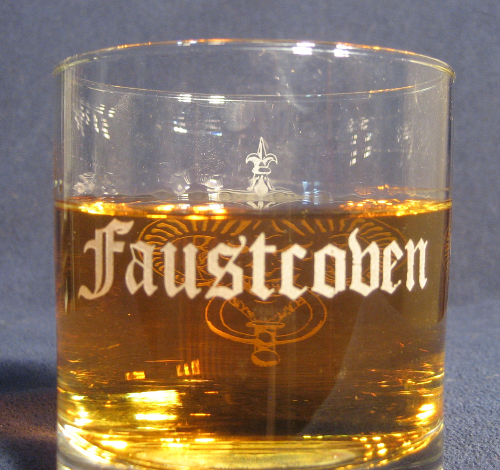 The Faustcoven whisky glasses are sold out!All orders will be mailed out today and Monday. Thanks to everyone for the support! 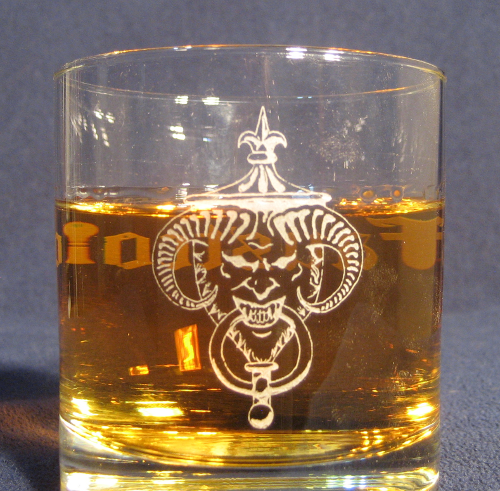 Official Faustcoven - Whisky Demon whisky glasses are in stock now! Classic 3 1/2" Old Fashioned glass with permanent sand-blasted etching: FAUSTCOVEN on one side and the Whisky Demon (as drawn by Seth Bennett) on the other. A perfect way to enjoy whisky or your own favorite libation. Limited to 25! "Smoking fumes and burning fires. This is your age: Whisky! Demon!" Order at the store (in the shirt/patches section) to get one before they're gone! Or order together with a shirt at a discount price! 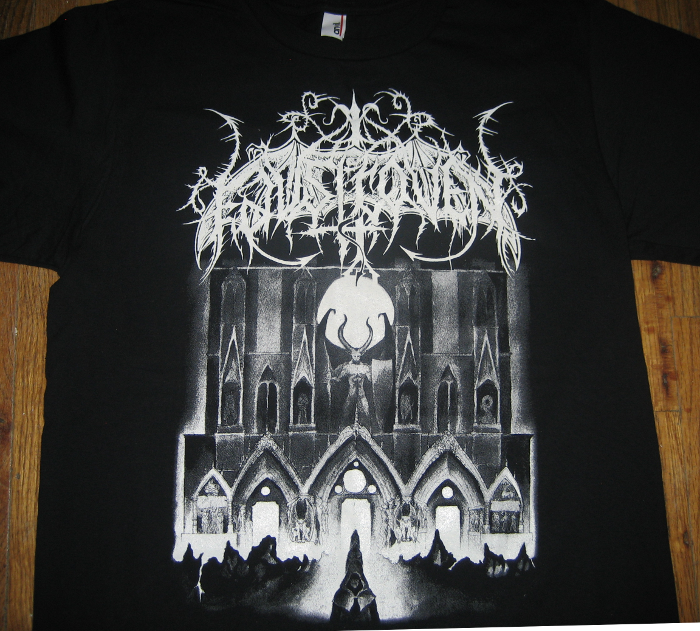 Official Faustcoven - Rising From Below The Earth shirts are in stock now! On 100% cotton Anvil shirts. These are slightly fitted shirts -- there's no major difference, but if you favor a baggy fit you might want to order a size up. See the size chart for more information. Order at the store to get your size before they're gone! S and 2XL are limited... please list alternate size! Labels & distros, contact us for trades & wholesale. This isn't an official release, just a free surprise -- here's ANTAEUS' set at Rites of Darkness III. It's in FLAC format -- google it if you need instructions on how to play or convert it. If anyone has setlist(s) for any of the other bands, please get in touch! Official Ares Kingdom zip-up hoodies are in stock now! All pre-orders will go out tomorrow morning. Note that the camera washed out some of the fine detail in the first pic -- no substitute for the real thing! Order at the store to get your size before they're gone! S, 2XL, and 3XL are extremely limited... please list alternate size! Official Ares Kingdom zip-up hoodies are at the printer now! These should be in-stock and shipping within two weeks. Note that the camera washed out some of the fine detail in the first pic -- no substitute for the real thing! 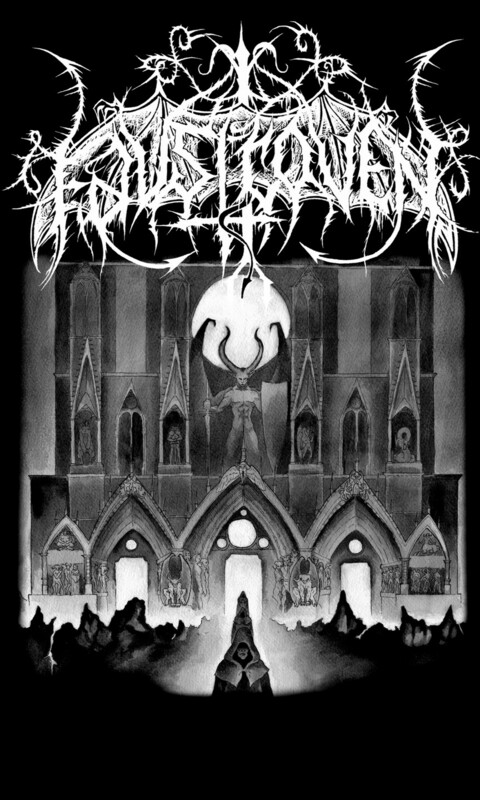 Official Faustcoven - Rising From Below The Earth shirts out soon! Top quality one-sided shirt featuring Seth Bennett's cover art. Click the photo below for a larger version, and visit NWN's site to hear the title track off the new record, "Hellfire and Funeral Bells"! 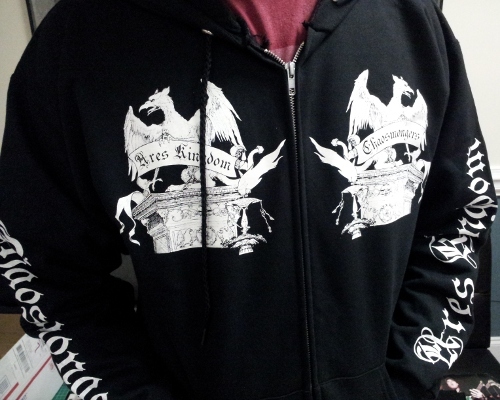 Official Ares Kingdom zip-up hoodies are at the printer now! 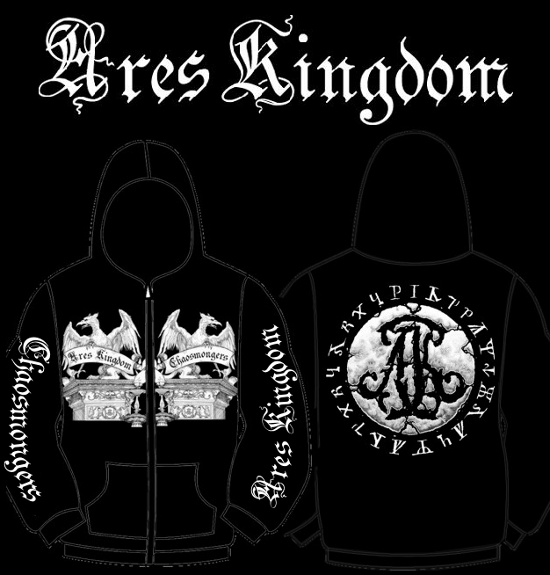 Two week pre-orders begin for official Ares Kingdom zip-up hoodies, out in March on Promethean Burn! Incendiary...! Order now at the store to reserve your size! Pre-orders close Feb. 11! Official Ares Kingdom zip-up hoodies out soon on Promethean Burn! Incendiary...! Killer "Outshine" front print on quality black Anvil shirts, in sizes S, M, L, XL. $16 US post-paid, $18 Canada/Mexico, $25 world. See the store (for North American customers) or contact via email to buy. This week only, use coupon code INMEMORIAM to save 10% on North American orders over $20! 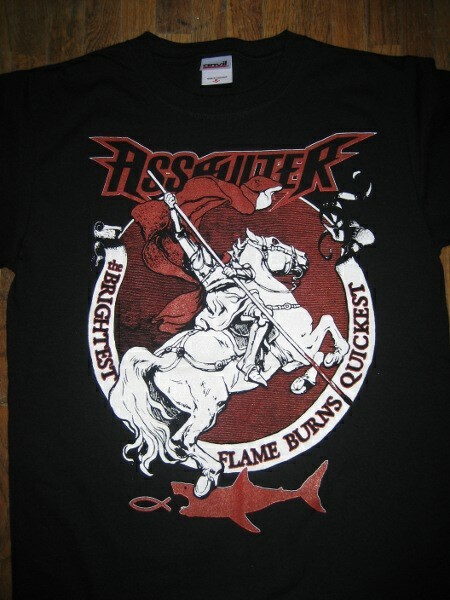 Our first release will be ASSAULTER (AUS) shirts, due back in two weeks. We have multiple irons in the fire, including CD releases and vinyl, so stay tuned for further announcements. Feed the fire!